NEW YORK - At the dawn of the 20th century, when the first humans set foot on Antarctica’s seemingly pristine ice cap, pollution had beaten them there. Lead and other heavy metals quickly amassed in the ice in 1888 and beyond, leaving a record of the industrial revolution. It was like “a switch turning on,” said Joseph McConnell, a hydrologist and ice core expert with the Desert Research Institute in Nevada. 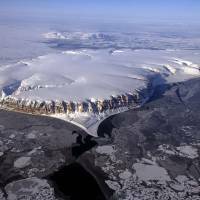 On Greenland’s and Antarctica’s ice caps, snow settles in layers, recording what was in the atmosphere year by year. By digging out ice cores, scientists can read an environmental history going back thousands of years. With newly precise measurements, McConnell and colleagues announced they can use Greenland’s ice to read subtle ups and down of lead pollution from the Roman Empire. Millennia from now, when our civilization is long gone, scientists and historians could learn much about us by digging into this same ice. They might use written records too, but physical remnants carry a different view of history — a perspective that emphasizes change over time. As with other extinct civilizations, what we leave behind will reveal much more than the history we write down. That is why historians are getting so excited about the newfound ability to read ancient history in ice. They say most of the lead from the Roman era was released from the process of extracting silver from ore. The periods of heavy lead contamination correspond to periods when the Romans made the most silver coins, and these correspond, roughly, to times of a strong economy. The idea of looking for lead emissions buried in ice started with a geophysicist named Clair Patterson. He became concerned about lead pollution while attempting to calculate the age of the Earth using a natural clock based on the decay of uranium into lead. Patterson ran into a snag when he discovered massive lead contamination in his lab, on his colleagues — pretty much everywhere. In 1953, after a monumental effort to create a clean laboratory, he correctly calculated the Earth’s age of 4.55 billion years, and soon afterward started investigating the source of the extra lead — which he realized must be coming from industrial lead — especially leaded gasoline. To convince the government to consider regulating lead, Patterson needed to prove that emissions raised quantities of lead above natural background levels. To do that, he found remote spots in Greenland and Antarctica, dug deep into the ice and found that lead levels had ballooned to 200 to 300 times what they had been in 1700. That work revealed other, smaller peaks in lead levels in Greenland, including one during the period corresponding to the Roman Empire. Levels then were only one-fiftieth what they had been during the 20th century, but the rise and fall of Rome was clearly recorded. McConnell’s team has applied more precise measurements than were possible in Patterson’s time, to give us a detailed record for the first time. The heavier emissions appear to mark periods of prosperity, such as the peaceful period known as the Pax Romana from 27 B.C. to A.D. 180. Emissions decreased later during plagues. The researchers used telltale particles from known volcanic eruptions as time markers to match the ice layers to the calendar. McConnell said researchers can anchor their ice core in time to an accuracy of within a year or two. It is not so much a backup to history but a new kind of history, said Joseph Manning, a Yale historian who has collaborated with McConnell on other ice core work. The ice core information reveals changes over time — and may help historians better understand why things changed. Manning sees history becoming more integrated with science. Historians are increasingly appreciating that political events play out amid equally powerful influences of heat waves, cold spells, droughts and other environmental changes. Are people learning from history, especially as it applies to pollution? Scientists are getting better at identifying hazardous substances, said Lloyd Tepper, a physician at the University of Pennsylvania who has written on lead, mercury and beryllium for the Journal of the Society for Industrial Archeology. But scientists have limited power. Think of a fulcrum, he said, with national wealth and personal comfort and convenience on the one side and health costs on the other. Scientists don’t set the fulcrum, he noted. Political interests do — as they always have. Looking forward, say, 2,000 years, scientists who want to know about us could measure our lead record. They would see a dip during the Great Depression of the 1930s, and then a fast rise as cars burning leaded gasoline filled streets and highways. Scientists of the future could also see cadmium, arsenic and other heavy metals. They would see the indirect result of the ozone hole over the Southern Hemisphere, in the form of atmospheric chemicals made more abundant by increasing ultraviolet radiation. And why wouldn’t they want to study us? We are living at a time of peak fossil fuel use, and this century will see the world’s population hit a peak before starting to fall off. The layers corresponding to the late 20th century will record the first reduction in pollution tied to environmental policy: the Clean Air Act in the U.S. as well as the Montreal Protocol, which was a worldwide treaty to outlaw the main chemicals implicated in ozone loss. Will there still be any ice to study thousands of years hence? 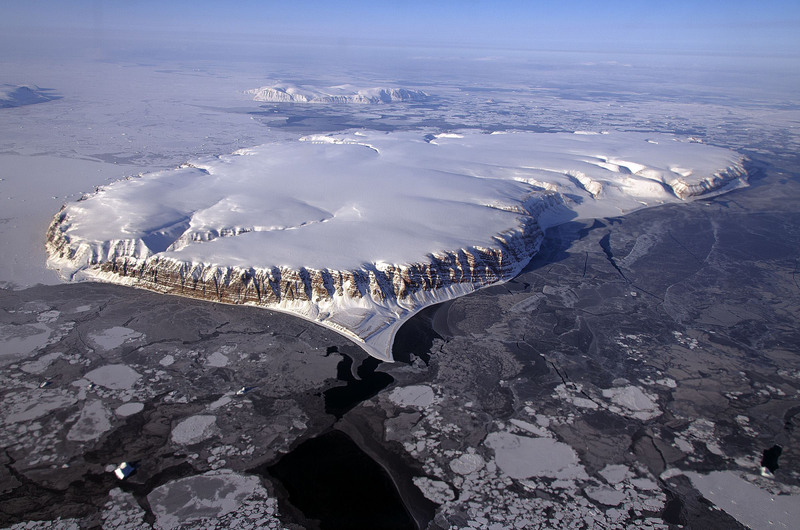 McConnell said yes, there will be ice records in the interiors of the Antarctic and Greenland ice sheets, even if global warming melts them around the edges enough to drown coastal cities worldwide. It is hard to know whether there will be scientists or historians around in a thousand years or two. But humans have always been a hardy species, and a curious one, so it seems very likely someone will be nosing around to uncover the past.